While you're there, check out the Keystroke Commands section - VERY HANDY! A co-write with Debi Champion. If you ever spend any time in Nashville checking the songwriting scene, you will likely find Debi's Writers' Night. She has hosted the most popular nights for at least 25 years. It is currently at The Commodore Lounge on West End. For many years it was at The Broken Spoke Saloon (for reference for anyone who might have visited Nashville in years past). Almost every writer who has come through in the last 25 years has played Debi's stage. If you've listened to Country music in that period, you have heard guys and gals who got their start at those writer's nights. Some still pop in to do a round now and again. Of course, you will also hear a night full of songs that are "less than great" - the majority of writers who move to town will find that they do not belong there - but, you've still got to give them credit for trying - for following a dream. And a few who aren't ready when they get there will develop into good writers and find their way into the right nooks and crannies...doors do open for those who have the talent... and most will start at one of Debi's nights. She is a sweetheart - welcoming to all. Another Big Thanks to Janice & Bud for being a big part of my music! I have used band in the box since version 10 one of my favorite program. Composing music uses Band in The Box as the start to add basics. I'm seriously sighted using leader dogs have multiple cancer diagnoses so Band in The box is an opportunity to meet other musicians over the internet. Has made many songs through different sites. September 26, 2018 Time is Running Out... the Xtra Styles PAK 5 Song Contest Ends September 30th! Our Xtra Styles PAK 5 Song Contest, with your chance to WIN one of 4 prizes of $150, ends on September 30th! Right now we have 49 song entries - great job everyone! Have a listen to these entries, or submit your own song, here. -You must own Band-in-a-Box® 2018 along with one or more of the Xtra Styles PAK 5 packages (Country, Jazz, Rock-Pop, MIDI). -The song you submit must be your own original composition. This could be simply typing in chords to your song and pressing play, but you may also add additional instruments, solo, and/or melody. -Public domain songs will be accepted. For complete information on this contest, click here. Just for fun... as always.. Question: How did you get into producing? Lido: "Growing up in the mountains on the west coast of Norway there wasn’t very much to do. My dad downloaded this music making software for me on his computer, I think it was called “band in a box”. I just started making beats on there, I was about nine at the time. I didn’t realise I was producing, it felt more like a video game. It wasn’t until I got Cubase when I was 11 that I really started producing." September 25, 2018 National One-Hit Wonder Day! Today is NATIONAL ONE-HIT WONDER DAY! Have you ever created a "one-hit wonder" (that you'll admit to)? Post it to this thread - we'd love to hear it! This is Stefan from Frankfurt, Germany. I’m 67 and now that I’m retired I spend quite some time writing (admittedly not very romantic) songs and wrap them in (hopefully funny) videos. I started working with BB/RB and Camtasia for the videos in December 2015 and though I’m not quite sure whether my stuff can compete with the great material I regularly find here I finally dare to present one of my songs/videos here, too. The link will take you to the respective page of my website where you will find the MP3 and the video; just click the UK flag to switch to English. b) Horns arrangement: Used the RB Piano Rol (I’m actually a guitarist, not a keyboard player), then using the Big Fish Vintage Horns via Kontakt 5. Would be very happy if you enjoyed my stuff at least a bit..
September 24, 2018 Complete RealBand 2018 Users Guide - Interactive Online Version Available! Visit our Online Manuals support page, and you'll find our latest addition - the online manual for the RealBand 2018 for Windows User's Guide! Just like the other Online Manuals now available on our Support page, this User's Guide can be easily navigated by chapter, or using the main Table of Contents window! Check out the latest Band-in-a-Box® Testimonial Video from endorsing artist Steve Wallace! "With the vast array of RealTracks and styles offered, Band-in-a-Box is a phenomenal program that can help any musician and composer hone their skills." September 21, 2018 Band-in-a-Box® 2018 for Mac review on www.guitaren.dk! www.guitaren.dk has recently reviewed Band-in-a-Box® 2018 for Mac, which can be read here. "Our conclusion is that this is a very serious and well done piece of software.The program is fast and flawless and you'll very quick get impressive results just typing the name of the chords. The new functions are exiting and worthy to be includes in this anniversary upgrade. We were very impressed by the MIDI SuperTracks, which is simply brilliant. It’s a function in Band-in-a-Box that's here to stay. It's amazing that the programs feel is so fresh and innovative after 30 years. This version is better than ever and should be a in every home studio or pro studio... Congratulations with the anniversary! We love you as the ex-wife we did not know we were missing." Wrote the song a couple of months ago. I had the idea, ie, the first line of the chorus and its short melody snippet … for quite a while. Had a conversation with a friend about life and understanding and giving people a pass for some of their failures … which inspired me to really try to flesh the idea out, and this is what came of it. September 20, 2018 Band-in-a-Box®: Part of The Ultimate Desktop Guitar Practice Rig! Check out the latest Sweetwater article from Mitch Gallagher: "The Ultimate Desktop Guitar Practice Rig" - he's included Band-in-a-Box! "The king of backing track creation, in my opinion, is Band-in-a-Box (BIAB). It can do everything from country to jazz to metal, with a huge array of instruments and options. There is a great selection of songs and BIAB tracks available for free on the web, so you don’t even have to make your own." Vocals and mixing were done in Logic Pro X.
Hello forum friends! One of the things I like almost as much as music is humor. I rarely mix the two....this song being a rare exception. One day I woke up and this line came into my head (title). I thought that was really weird but I decided I was just going to write and see what happened. This did. Hope you get a chuckle out of it. Only using the _Electro.sty - no extra VI's added. Just a nice arrangement of chords... I love BiaB! During my couple of weeks lying low an occasional collaborator contacted me and asked to sing on a song I'd written. Naturally i agreed as it had languished for a year or more almost finished but weighed down by my sorry guide vocal. Trudy Fielding emailed her part and it took only a little remixing to get it to sit in the backing. She did a lovely job of double tracking the chorus and I added a little ADT to that 2nd take to make the most of it. James Dodd recorded the solo almost a year ago and did so to match the very reverby,delayed, pingpong nature of the backing. He used his custom Crimson guitar (they're on Youtube - Crimson Guitars check out their beautiful hand made guitars - custom and line items). BIAB drums came through really well in this track which has more than a touch of psychedelia and lush swirl. BIAB drum - British of some sort with a cut'n'paste to the ending. Mel9 pedal (high & low chorus fx), Yamaha FX500 (Soft Focus), Pignose 7-100 amp, 57 & e609 mics. Vantage Bass through a BDI21 DI. Homage to Jean Vanier, founder of L'Arche, who founded L'Arche--group homes for developmentally disabled adults who previously were kept at home "in the dark". A blast from the past... the introduction of the Audiophile Edition with Band-in-a-Box 2008.5! Wondering what else was introduced with Band-in-a-Box 2008.5? 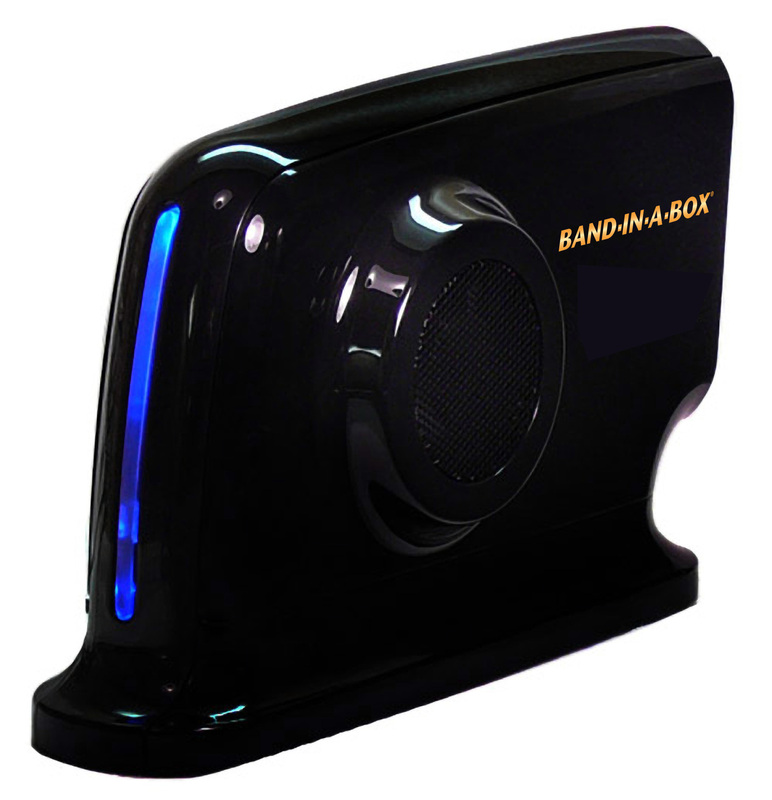 Click here to see the "Band-in-a-Box 2008.5 New Features List." As always - thanks for listening! September 12, 2018 RealBand 2018 Interactive Online Upgrade Manual Available! The newest addition to our Online Manuals support page is the RealBand 2018 New Features Guide! Just like the other Online Manuals now available on our Support page, this Upgrade Manual can be easily navigated by chapter, or using the main Table of Contents window! Another tune on the lapsteel. I composed this one for some Great friends from the north of Scotland. Manson Grant & the Dynamos. Legends all over the UK, Manson has been across the pond many times, and is a much respected musician. September 11, 2018 New Interactive Online Band-in-a-Box® 2018 Manual for Mac! We've added an Online Manuals option to our Support page, where you can access an interactive online Band-in-a-Box® 2018 for Mac User's Guide! The Online Manual can be easily navigated by chapter, or using the main Table of Contents window! Also available on our Online Manuals page is the PDF files for Band-in-a-Box® 2017-2018 Full manuals & Upgrade manuals. Among the many forums available, we have a User-to-User Tips & Tricks forum - perfect for sharing your own technical tips and tricks for any PG Music product! Like the recent post by jford: You Should Run BIAB and RealBand As Administrator! September 07, 2018 Xtra Styles PAK 5 Song Contest - Over 25 Entries! We recently launched an Xtra Styles PAK 5 Song Contest with 4 prizes of $150! So far, there are more than 25 entries! Have a listen to these entries and submit your own song here. Here's one of my favorite song creations. A nice, easy listening ballad. All the music is 100% Band In A Box. Sweltering in a recent heatwave and choking on forest fire smoke - both recurring summer events in these parts- I got climate change confused with a nursery rhyme, political humbug with a silly game, and came up with this. Scott didn`t raise an eyebrow and delivered the feisty twin guitars. My first try at mastering with Ozone 8, so comments on that or any other aspect of the song are welcome. We have not had much time for music making this summer so I (Bud) threw together a simple eight bar blues that I knew Janice could quickly riff out a vocal on. She did that and after the take said she’d like to try some BGV’s so here’s what happened smile Peter helped with the arrangement and played the solos and rhythm…thanks! We hope it works for you and we are always appreciative your time to both listen and comment!